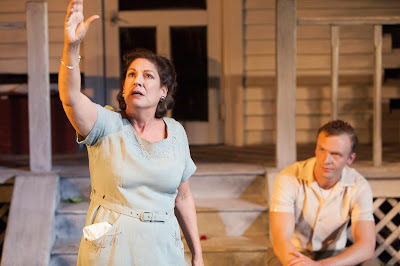 Darlinghurst Theatre Company presents ALL MY SONS by Arthur Miller at the Eternity Playhouse, Darlinghurst. ALL MY SONS by Arthur Miller is the opening production at Sydney's newest theatre building: the Eternity Theatre (located on the corner of Burton St and Palmer St, Darlinghurst). This renovation of an old church building has respected the historic origins of the site and constructed what seems, from the experience of this first production, a theatre that works for all (the irony of another church building becoming a theatre building, I, personally cherish, and remember, respectfully, the artists of times past, for the persecution that they suffered at the hands of the churches, not too long ago). The stage area appears generous and sensible, the auditorium, comfortable and hospitable for the easy enjoyment of the performance, with a foyer design of some space and comfort (although, a lot of stairs! - age does weary some of us - there is, true, an elevator to the auditorium). All in all, a terrific prospect and important addition, indeed, desperately needed addition, for the performing arts in this city. The building construction delayed the opening of the intended season, and, so ALL MY SONS became this important (in historic record terms, at least, for me) the inaugural production. Indeed, after this production closes in early December, there is a two month hiatus before the next production - still finishing details, I presume. At the very heart of our company is a firm belief that theatre should promote a democracy of ideas. We want our audiences to discover and experience the power and possibilities of live theatre and for each of our productions to inspire reflection and dialogue about the world we live in. In a world where humanism must conquer lest humanity be destroyed, literature must nurture the conscience of man. This play first performed in 1947, on Broadway, reflects, directly, the provoking social/philosophical conflicts within the post-World War II society of the United States. Returning soldiers, such as Arthur Miller's brother, Kermit, reflected the cauterising effect of the heat of witnessed and participated battle, and had returned home, safely, but with a great sense of the bond of honour and humbling humanity the day-to-day facing up to real life and death confrontations had impinged on his consciousness (indeed, Kermit Miller, seems never to have fully recovered from the stress of this experience) and was faced with the bold and bald pursuit of the American Dream, of wealth, on his return, at, it seemed, at all costs to that very honour and principle he had learnt and depended on, in the theatre of war. Mr Miller taking note of recorded war profiteering from major and smaller industrial companies (e.g. The Wright Whirlwind Engine Company), often by the breaking of time honoured moral codes, at the expense of actual lives, was impelled to discuss this, in his play/drama 'to inspire reflection and dialogue about the world we live in." To contrast " ... between the brotherhood of wartime service and the soulless materialism and ruthless individualism of the commercial world." (p. 266, ARTHUR MILLER by Christopher Bigsby). Joe Keller (Marshall Napier) is a small time industrialist who had allowed faulty cylinder heads to be sent forward to the Army Air Force, fearing he would lose business if he could not maintain his agreed quota, which has led to the deaths of some 22 pilots. Rather than accept responsibility himself, he passes the blame onto a fellow employee, who, subsequently, is imprisoned. Facing down public scandal and denying his own culpability, Joe builds his industrial plant to greater success, and intends for his surviving war hero son, Chris (Andrew Henry) to inherit (Larry, the other, elder son, a pilot, having perished at war). Chris eventually discovers truths of the past from Anne Deever (Meredith Penman) and her brother, George (Anthony Gooley), the children of the imprisoned man, and confronts his father over his crimes. Joe Keller had seen his actions as necessary ones, to preserve the family business, a private action, but now is forced to see that the private and the public are inextricable: beyond the Keller family there is also, the family of man. That the dead 22 pilots are all his sons, too, and that that bigger family of his fellow men, is through the effect of his causal actions, brought to tragic ruin. The two great literary influences on Arthur Miller's work were his admiration for the work of Henrik Ibsen's societal critiques, and of the Ancient Greek playwrights' texts. One can read, easily, the patterning, the model, that Miller 'confessedly' took in constructing this play - Ibsen's THE WILD DUCK is, clearly, seen, both, in character and thematic concerns as an influence (in early drafts one of the characters was even called Ekhart). The boldness of the moment by moment revelations in ALL MY SONS, and the manner of their reveal, are classic Ibsenesque strokes, in their carefully constructed, "don't miss a beat" form (what Miller's play lacks is Ibsen's mordant sense of humour, to leaven his political 'lesson'). Add the power of the accumulative dramatic developments and the primal energies required to play them, in Miller's play - towering challenges in the Greek tragic manner - the ' Greek chorus' commentators of the Keller neighbours; the dramatic arrival of the truth teller/'circuit breaker' - George; the arrival of the fateful messenger - the letter from Larry - that lead to the final tragic conclusion to justice - the revenge of the 'furies' - an off-stage suicide, and both influences, Ibsen and the Greek writers, stand almost nakedly for us to observe and absorb. It is this nakedly borrowed structure and method, that, for me, always makes ALL MY SONS, slightly, too technically obvious and, so, has always weakened my response to the play - it has never really interested me, except as an astounding apprentice work. It is amazing for me to consider that Mr Miller's very next play is one of the great plays of the last century: DEATH OF A SALESMAN (1949) - the sophistication of the writing is, relatively, a light year of development forward. How did it happen? This production, directed by Iain Sinclair (who, also plays in it - a habit he is developing: THE HIGHWAY CROSSING), encourages this company, at least the principals, to leap to the "Greek-scale" dramatic potentials of the material and, despite my dramaturgical reservations, affected me mightily, accumulatively. One is, as with all good productions of Miller, shaken with the emotional power of this writer's work - deliberate boldness and socially responsible, intellectual integrity. He does not shy from speaking his mind, be it socially/politically controversial or not. Best and most consistent are Toni Scanlan as the self deceiving and tragic mother figure, Kate Keller, and Andrew Henry, as the fierce, almost morally absolutist son, Chris, that brings destruction to all about him in his pursuit of truth and honour. Marshall Napier as Joe, gathers power, but seemed a little unsure early - it took some time for the character to arrest one's attention. Anthony Gooley, in his one scene, brings his usual intensity and theatrical intelligence to George Deever, as the Milleresque functionary with the haunted power of the betrayed and guilty son, to be the catalyst to ignite the fuse to the destruction of his enemies. The supporting cast tend to wander too much in style into the flatter world of naturalism in their tasks, and lack the vital dimension of the tragic function of the commenting "Greek Chorus", that I suspect is necessary to fulfilling all of the requirements/possibilities of this tragedy by Arthur Miller. 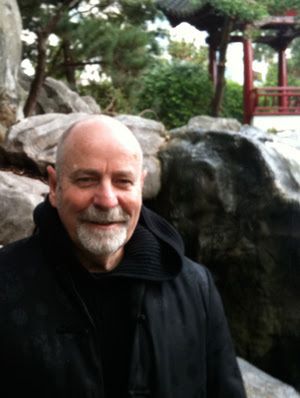 Mr Miller's work works best, I believe, when conceived on an 'operatic' playing scale - no naturalism for his conceptions. Briallen Clarke as Lydia Lubey, glimpses that potential in the final moments that she shares with Mr Gooley, as ex-'lovers' who have missed their joint destiny. The visuals of this production (Luke Ede), lack the clean line of a contemporary solution to design that we have become used too in recent Sydney theatre history. The main construct of the house veranda - fading white facade and steps, and the naturalism of the ruined garden with its felled apple tree - is suitably suggestible of the circumstances of the work if a little pragmatically perfunctory, but the unimaginative solutions to the four off stage exit and entrance 'doors' to the neighbourhood, are poorly conceived, and undermine and distract one from believing the world of the play. Lighting by Nicholas Rayment is generally serviceable, and not an aesthetic enhancer to the production. ALL MY SONS is of a poignant and contemporary relevance to the circumstances of our present times. It is pertinent to the future of all our 'sons' -"When does political short term expediency, whether for economic rationalisations, big business profits or party political point scoring, justify the possible well being of our and our children's futures? ", I wondered. - A discussion worth having, experiencing. Writing of this kind, despite my reservations, is an exception rather than the rule. Its power and integrity is undeniable. The principal performances are worth admiring - there effect shattering. I recommend a visit to the new Eternity Theatre and this production.